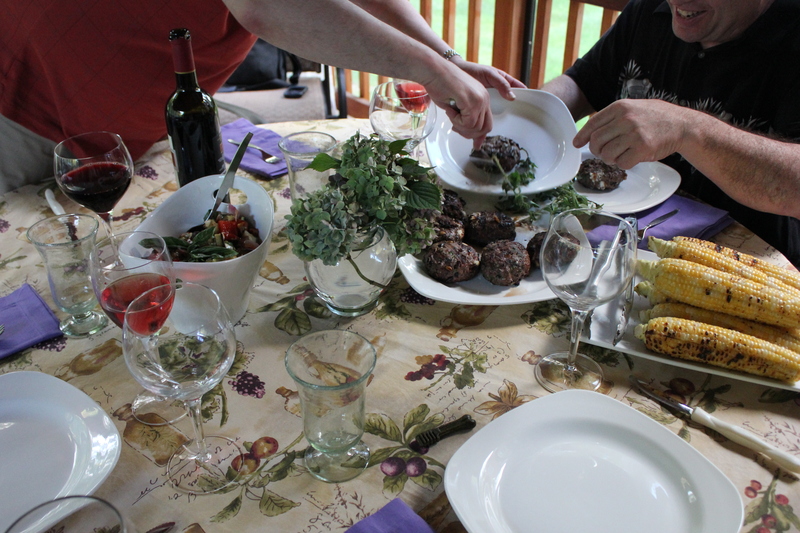 What’s better on a beautiful summer evening than burgers, grilled corn, and a mélange of roasted eggplant, zucchini, red bell peppers, red onions and cherry tomatoes tossed with cubes of fresh mozzarella and basil leaves. 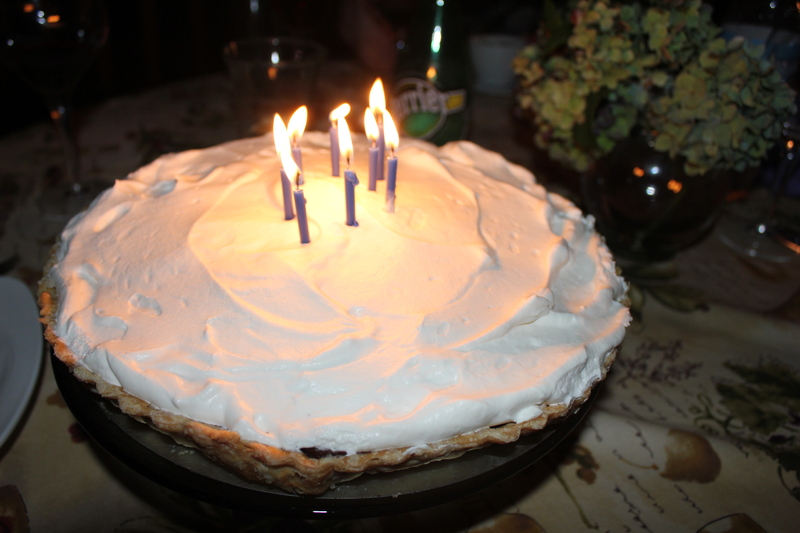 I’m making a Greek-style Lamb Burgers to celebrate EJL’s 62nd birthday! 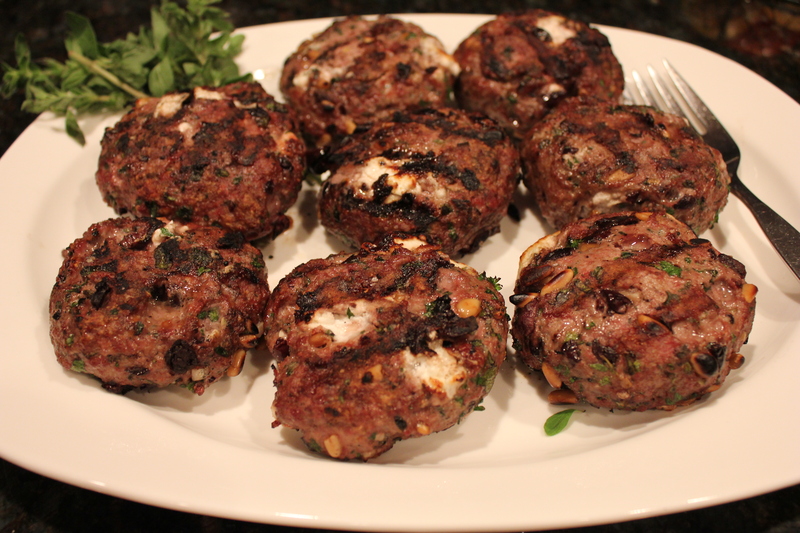 Greek-style Lamb Burgers with Kalamata olives, pine nuts, feta cheese, fresh herbs and garlic. In lieu of a bun, serve on grilled eggplant spread with humus! Place the lamb, herbs, olives, pine nuts, garlic, lemon zest, salt, pepper and nutmeg in a large mixing bowl. Use your hands to combine all the ingredients. Press the lamb mixture around the bottom of the bowl to make a roughly 1-inch thick layer and scatter the crumbled goat across the top. Gently fold a few times to incorporate the cheese. Take 1/8 of the mixture and form a patty. Set on a tray and repeat until you have 8 burgers. Refrigerate until 30 minutes before cooking; pan fry, broil or grill.